The walls will be ten feet thick to insulate against cosmic radiation, micrometeorites and below freezing outside temperatures. How we’ll get to Mars has long been the hot question in science, but what will we do and how will we live once we get there? 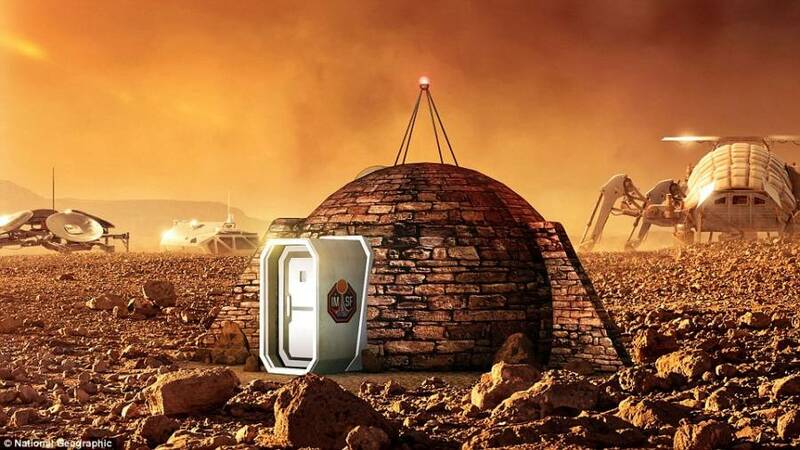 In conjunction with their new show, Mars, National Geographic has teamed up with the U.K.’s Greenwich Royal Observatory to create a model home showcasing what humanity’s first habitat on Mars may look like. 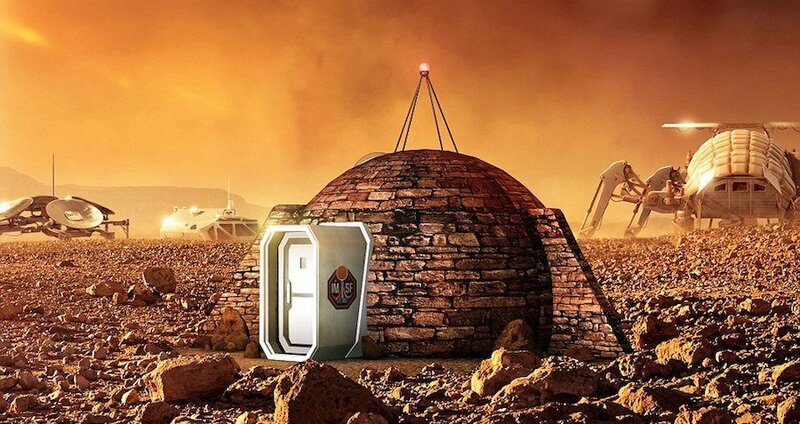 The National Geographic model is an igloo-like structure built with recycled spacecraft parts and brick made of microwaved Martian soil, forged from materials resembling the rocky Martian soil. It features a double air-locked entrance, transparent viewing dome, a large communications transmitter, and stability wings to protect it from Mars’ punishing winds. Likewise, the walls of the habitat will be about ten feet thick to insulate against outside temperatures that can drop as low as -158 degrees Fahrenheit. According to National Geographic, these bare-bones habitats (inspired by Buckminster Fuller’s geodesic domes) would expand module by module as future missions delivered additional materials, each structure connected to the next with specially constructed corridors. This revolutionary structure, which could actually prove instructive when the time comes to put humans on Mars, will be but one portion of National Geographic’s Mars. The show will also feature interviews with spacefaring experts such as Elon Musk, Neil deGrasse Tyson, and The Martian author Andy Weir, who will all help explain exactly what humanity needs to accomplish to get to the red planet. Next, read about President Obama’s plan to send humans to Mars by 2030 and Elon Musk’s plan to beat him there by eight years.